In a weekly web cartoon series popular a few years ago, “Ladies Bathhouse Report,” the cartoonist and public bathhouse devotee showed in detail what Korean women do at public bathhouses. 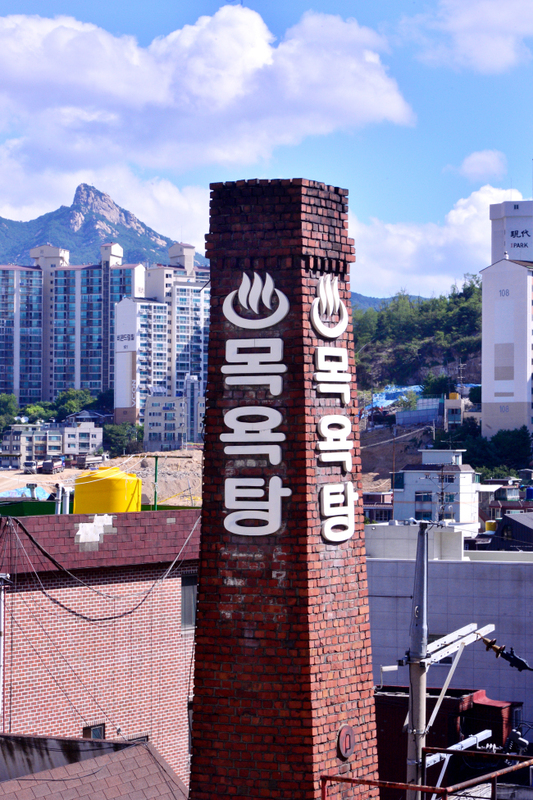 One of the concepts introduced in the series was “dalmogyok” culture, or “monthly bath” culture. The term refers to using monthly vouchers offered at a discounted price. The overall idea is similar to using a gym with a monthly membership. Readers, both men and women, were fascinated by the cartoon. For men, it was about a forbidden space. For women, it was a rediscovery of the unique, inclusive culture. 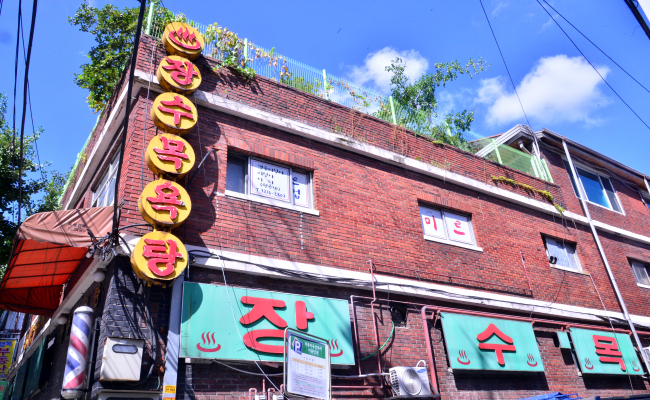 Most small public bathhouses in residential neighborhoods offer the dalmogyok service. Visiting a bathhouse on a weekday morning, one is likely to run into such a group of middle-aged women. “After sending my husband and children off to work, I come here,” Kim Ok-ja, a women in her 60s, said at a public bathhouse in Seongsu, eastern Seoul. The small bathhouse is frequented by middle-aged women from the neighborhood like Kim. It’s not a fancy place with spa facilities and high-end saunas -- it is more like a community center, a venue for people to gather. The structure is classic. In the 33-square-meter wide changing room, there is a large low wooden bench between the rows of lockers. A small snack counter on the side sells everything from water and coffee to shampoo and soap. In the bathing space, similar in size, there are three tubs -- hot, very hot and cold. Standing showers, sitting showers and two saunas, wet and dry, occupy the remaining small space. Kim comes to the public bathhouse almost every day, meeting her group of “bathmates.” Although they don’t make arrangements to meet at a specific time, they show up around the same time every day. “I find the latest news about the neighborhood from here. We talk about everything, from family issues to workplaces and discount news. We share life here,” Kim said, going off to make a call to check on one of her bathmates who had not yet arrived, past the usual time. Koreans say to be really close with a person we should bath together, that a special bond grows among people who bath together. The saying may come from the fact that bathing is a long process lasting at least an hour. Bathers have to be undressed as well, showing everything from head to toe with nowhere to hide. What makes dalmogyok culture even more unique is that the strong bond is not limited to just bathers. Even the staff at the bathhouse are a part of the group. As the bathhouse in Seongsu is small, there are just three staff members. For first-timers, it can be difficult to differentiate bather from staff, as they are all in the buff, mingling with each other. The distinction is blurred especially as bathers sometimes handle customers at the counter when staff are busy. The professional scrubbers, who are paid to scrub bathers using a rough mitt, sometimes scrub regular customers’ back for free. 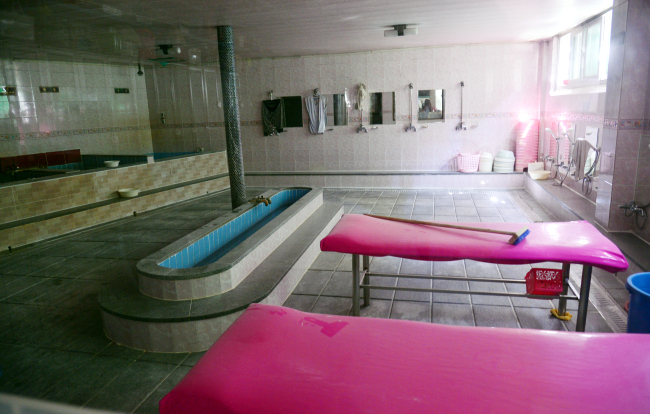 Typically, a whole-body scrubbing session lasts 30-40 minutes and costs 20,000 won ($17.70). After a bath, the mixed group of bathers and staff have lunch together at the changing room with whatever is in the refrigerator. Though the meal is not fancy, it is routine.